The nine-year-old grandson of John Hammond. Hammond had his grandchildren come to the island to visit Jurassic Park before it opened to the public. Tim has an incredible knowledge of dinosaurs from reading books by Robert Bakker and Alan Grant. Tim likes to taunt his older sister, and he talks so much about dinosaurs that Dr. Grant gets annoyed with him. However, Tim and Grant soon come to an understanding when they must fight for their survival. 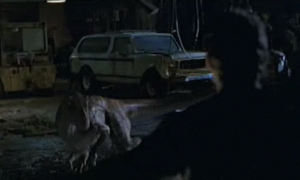 Tim is briefly seen in The Lost World: Jurassic Park as he and his sister reunite for a moment with Dr. Ian Malcolm for a little reunion.